With Madden 19 fast approaching I wanted to take a moment here and go over some of the things that helped make us at Madden Turf successful in Weekend League in Madden 18. In this article we will be covering some of the do’s and do nots of weekend league. The most important piece of advice that I can give anyone is to play during the week. Use the time between Monday thru Thursday to practice your scheme and work out any kinks that you may have in your game. Madden 18 was structured in a way where there wasn’t a lot of motivation to play MUT H2H so often times we would finish our games on Sunday and then not play again until Weekend League opened up the following week. I can’t tell you how many times I had tougher than expected early games in Weekend League because I was simply out of practice. I highly recommend playing a few games during the week in Madden 19 especially if you are implementing new things into your scheme. The next piece of advice I would give anyone is to take care of the ball in Madden 19 Weekend League. There are so many games where the margin of victory or defeat as the case may be comes down to just a few plays. That is why I always try to do my best to take care of the football and make my opponent grind to score every point that they get. One of the most important things that will help you in Madden 19 Weekend League is knowing when to walk away. What do I mean by that? Weekend league has a way of driving you absolutely crazy. This can be especially true when you are in games 15 thru 25. Unless you are playing in the middle of the night you are bound to run into very good players as your run is coming to an end. That is why it is very important if you are frustrated, angry or struggling to know when it is time to take a break. In Weekend League one loss can turn into three loses very quickly. Lastly, I highly recommend setting goals for yourself in Madden 19 for Weekend League. Don’t go through the motions every week without having a goal. Not everyone comes out of the gate flying when a game comes out and I am sure it will be no different in Madden 19. That is why it is very important to see goals for yourself to track your progress. Small things like aiming to improve by a win or two every week can go a long way to making you feel good about the time you spent playing over the weekend. Madden 18 was a great year for us here at Madden Turf in weekend league with Shugz, Snap, Football, Shikobe, CC and myself all managing to go undefeated at one point or another during the season. 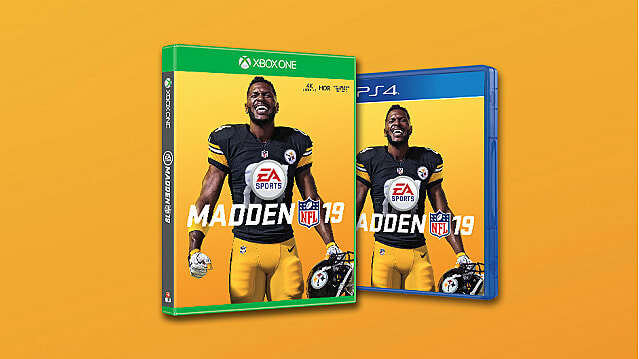 Be sure to stay tuned in Madden 19 so that we can help guide you on your path to the top!